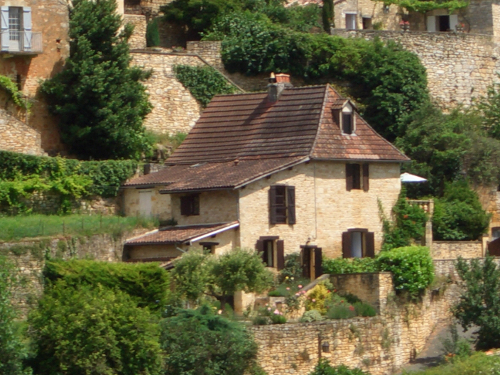 Le Rouquet is in the picturesque village of Castelnaud la Chapelle and sits on the hill side halfway up the village. 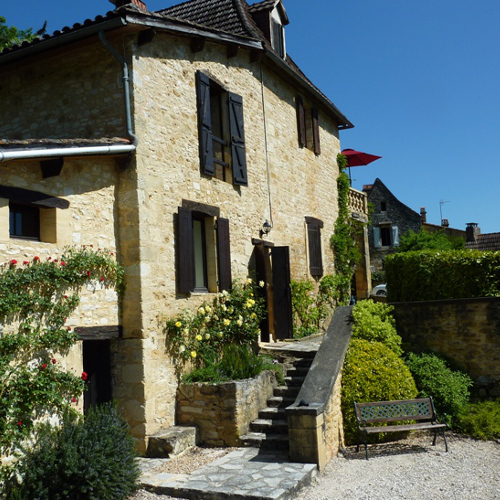 The house was built over 200 years ago with the local honey coloured stone and inside retains many of the old features including stone walls and beams. 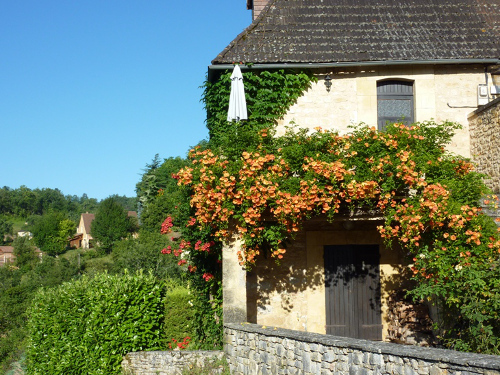 Roses, vines and climbing plants adorn the outside. The house has been divided into 2 spacious apartments, refurbished to a high standard but still retaining the original character of the building. The two apartments feature fully fitted kitchens, wooden and tiled floors and new furnishings. Both apartments are light and airy with all windows facing South and looking across the wooded valley. The lovely sunny South facing garden is a wonderful place to unwind. 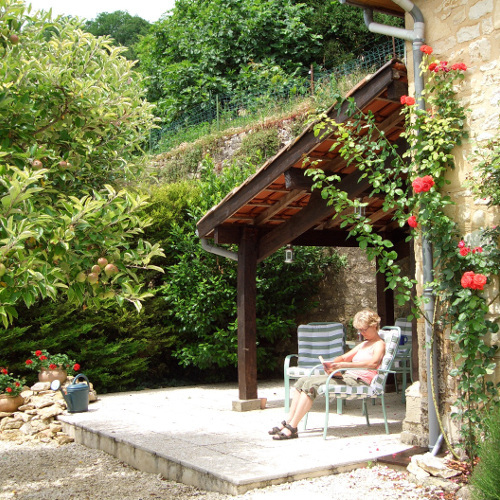 The few flower beds are filled with shrubs, roses and herbs and loungers are provided for your relaxation. Neither of the apartments are suitable for very young children as the garden is not fully enclosed and there are uneven stone steps in and around the property however it is great for active children and young teens as there is plenty to amuse and excite them in the area. There is Wifi in both apartments and the access codes will be given to you on arrival. Both apartments are provided with barbeques, the one for the Balcony apartment is kept on the balcony and the one for the Garden apartment is kept under cover on the patio. There is a washing machine located in the utility room for guests' use along with an iron & ironing board. It is possible to drive up the narrow lane to the house to unload luggage etc. but it is not possible to park the car outside the house. However there is parking less than 100 metres away in the church square just below the house or at the end of the approach lane about 250metres away.